If you are looking for an electric quartet to wow your guests but can't afford 4 musicians, then this performer could be just what you are looking for! 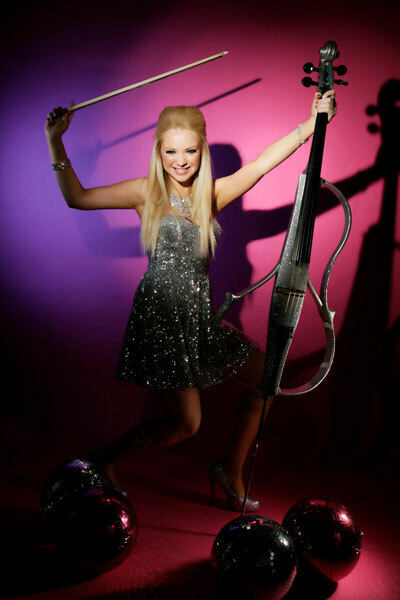 She is available as a solo cellist and can offer a mix of background music as well as a stunning show with a professionally created backing track. This act is also available as a cello and vioin duo with or without a Bollywood dancer. Her career took off when her 3-girl band was invited by Take That to be an opening act in their Beautiful World Tour, playing her own composition Body Mind and Soul to audiences of 15,000. An experienced and confident public performer, she has toured extensively in the UK, Europe, the Middle East and the Far East. 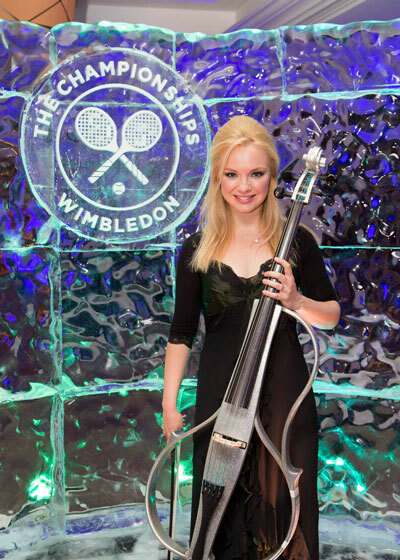 She has played at major UK venues including the Royal Albert Hall, Bridgewater Hall, Royal Opera House, 10 Downing Street (to the Prime Minister) and Buckingham Palace (to Prince Charles) as well as the British Embassy in Paris. In the last year she has performed in Jordan (to the Jordanian Royal Family), Japan (to the Japanese Imperial Family), Kuwait, Bahrain, Turkey, Oman, Holland, Crete, France, Spain and Germany. She has appeared many times on TV with artists including Leona Lewis, Gary Barlow, Sugababes, Westlife, Il Divo, Kasabian, Camilla Kerslake, Noisettes, Sharleen Spiteri and Paul Potts. TV shows include The Rob Brydon Show, GMTV, This Morning, Richard and Judy, Alan Titchmarsh Show, Graham Norton Show, Paul O’Grady Show, Popstar to Operastar, Live at Abbey Road, Children in Need, Sport Relief, Dancing on Ice and Top of the Pops. She has recorded on albums with James Blunt, Peter Kay, Aled Jones, Camilla Kerslake, Judie Tzuke, Massive Attack, Emma Deigman, Bailey Tzuke and Watershed as well as for the Britannia High TV series and the Take That video. In addition she has collaborated with major producers/songwriters including Eliot Kennedy. She won a scholarship to study for 6 years at Yehudi Menuhin’s Music School, followed by 5 years at The RNCM and The Royal Academy of Music, learning from the world's leading string players including Yehudi Menuhin, Ralph Kirshbaum, Philip Sheppard and Colin Carr. She took singing lessons with Mary Hammond and gained a 1st class degree and a distinction at postgraduate level. She has won the Leonard Rose Cello prize and the John Barbirolli, Nossek and Weil prizes. 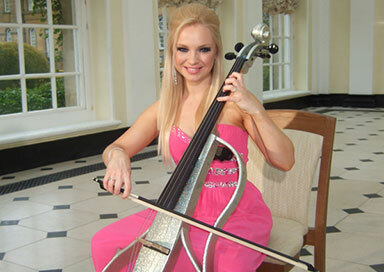 Having branched out into pop music she has built a successful career as a versatile cellist, singer and songwriter. Her musical style ranges from classical through to folk, hip-hop and Bollywood and she has even given a solo jazz performance with John Dankworth and Cleo Laine! 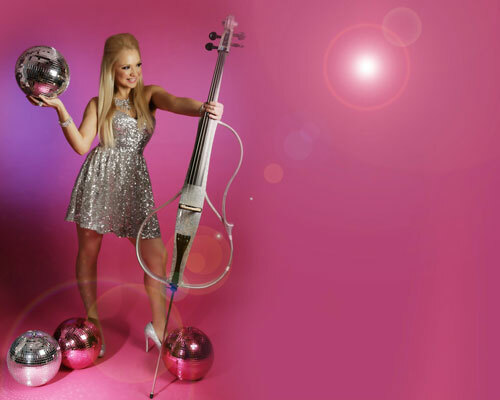 The Solo Electric Cello show is an exciting and sensual fusion of classical and pop music performed by this stunning young blonde. The performance is enriched by dynamic backing tracks and the result is a unique musical and visual spectacular which will keep the audience spellbound. A typical repertoire includes pop versions of all-time classics such as Adagio for Strings by Barber, Bach’s Toccata and Fugue, Jai Ho from Slumdog Millionaire and Coldplay’s Viva La Vida. She is also available for an evening of pop and/or classical background music played on her acoustic or electric cello, for up to two 45 minute sets. This act is available as part of a Bollywood/Western fusion Duo here. This act is also available as part of a Electric String Trio here.